You may prefer the rich notifications of Apple Watch or Android Wear, or the more advanced multisport capabilities of Garmins, but when it comes to employer wellness programs making sure employees are as healthy and productive, as possible it's all about the Fitbit Blaze. That's according to a new study from Sprinbuk, which talked to over 820 employers for its second Employer's Guide to Wearables report. Employers were asked about features, preferences and integration of wearables, and a test group of devices were evaluated over the course of four months. The Fitbit Blaze emerged on top with a score of 94, while the Garmin Vivoactive HR took second place with 89 and third fell to two Fitbits, the Surge and Charge 2, with a score of 86 each. Next up came the Garmin Vivosmart HR+ and the Samsung Gear S3 with scores of 85. Then the Gear S2 with a score of 83. The 82-rated Alta and 80-rated Flex 2 followed, and then the Apple Watch Series 2 came in next with a rating of 79. The lowest score was the Misfit Shine 2's 57. So how did they compile these scores? There were 10 categories that employers had to critique: measurement, health outcomes, user community, employer reporting, application, user experience, connectivity, adoption, robustness, and livability & sustainability. Most of the categories were fairly competitive, but one was not: employer reporting. 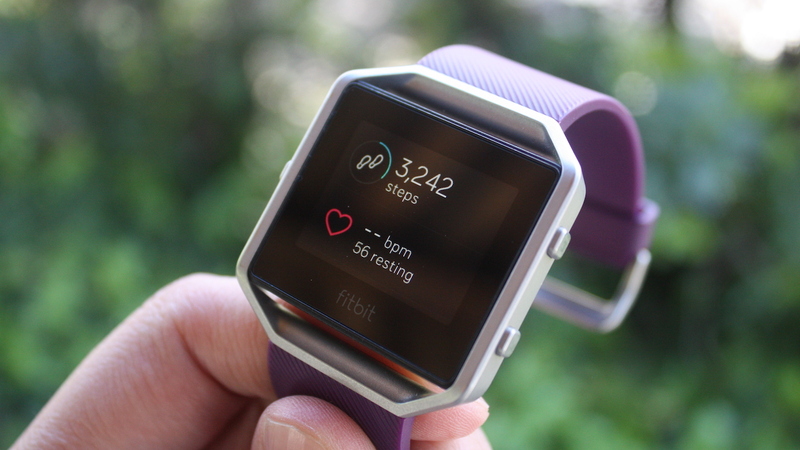 Every Fitbit nailed a perfect 5 in this category, while every other wearable device scored a 2.5. Why? The Fitbit Group Health platform, which is specifically designed so that employers can keep track of your progress. Had Garmin and Samsung had extensive employer reporting tools available, they would have either tied or been right below the Fitbit Blaze's score. The Apple Watch, however, would not, as it struggled in the user community and connectivity categories, largely because the device is exclusive to iPhone users.